This is a very interesting, and potentially important, development: two major players in the aquarium world are opposing the proposed Georgia Aquarium import of wild Russian belugas. Over the past decades, marine parks and aquariums have mostly stayed united on issues related to the Marine Mammal Protection Act and the display of whales and dolphins. For the National Aquarium and Sea Life Centres to take a different view of the Georgia Aquarium’s plan to import wild belugas and distribute many of them on breeding loans to SeaWorld, Shedd Aquarium, and Mystic Aquarium is a big deal. And it’s an encouraging sign that some aquariums–given what we now know about the intelligence, awareness and sociability of small whales and dolphins–see the possibility of a different model for education and display than the model that has dominated the industry since its inception. The stand that the National Aquarium and Sea Life Centres are taking will no doubt cause some heartburn in the industry. But any reform of the MMPA and how marine mammals are treated and displayed around the world is much likelier to make progress with some industry support. So kudos to these two organizations for taking a big and brave step forward. I guess it’s a two way occasion. 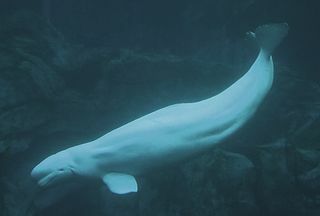 One is that the aquariums will benefit by showing beluga whales at their facilities but in the same way, they are helping conserving and artificially repopulating them by making sure they are healthy in their centers. I however think that they are still taking these animals out of their freedom from their natural habitat. Opposition mounts to Georgia proposal to import belugas – WDCS … | Our Endangered Planet and it's Wildlife.